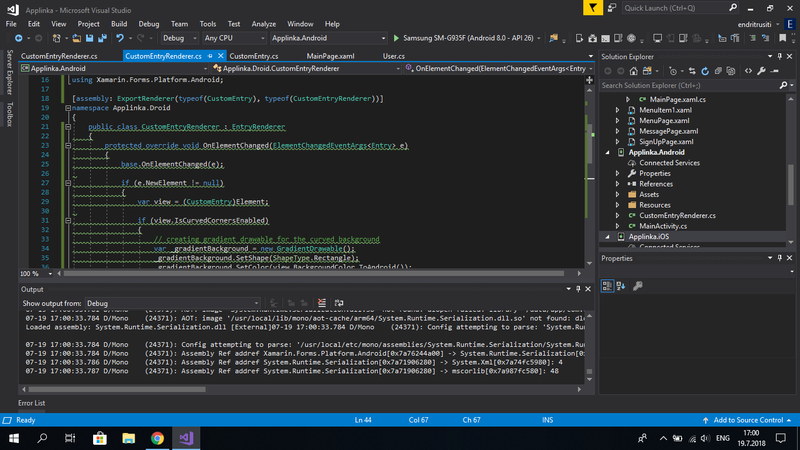 Is there any nuget for Rounded Entry Borders in Xamarin Forms ? I tried all the tutorials with custom renderer and I always have errors like constructor is version 2.5 etc ... Is there any other way to do rounded entry borders ? Can you explain me more in detail what ? I fixed it , Thank you ! Error       The "ResolveLibraryProjectImports" task failed unexpectedly. System.IO.FileNotFoundException: Could not load assembly 'WeHelp.iOS.exe, Version=0.0.0.0, Culture=neutral, PublicKeyToken='. Perhaps it doesn't exist in the Mono for Android profile?